It goes without saying that TV Schedule data needs to be accurate for any broadcast network. This is especially true for the public media industry, in terms of website module usage. For most stations, the TV schedule module is consistently the most viewed item across their digital properties. This is why, during the summer of 2015, it became abundantly clear that PBS Digital needed to thoroughly investigate the integrity of station TV schedule listings information across the various PBS platforms. The top concerns being reported included inaccurate data surfacing within PBS-provided TV schedule modules, and length the of time it was taking to see requested updates surface within those areas. Through the research, the PBS Digital Products group was able to identify a number of opportunities (detailed below) to address the needs of stations, and develop longer-term, sustainable product and service solutions. Some behind-the-scenes optimization work has already been implemented, so it’s worth noting that the initiative as a whole has been, and continues to be, a top priority for PBS Digital. When talking through issues about TV schedule data, it’s important to understand how listings data is collected in order to understand breakdowns in data integrity. First, stations create/update listing data and send it to listing providers (like ROVI and Gracenote). Next, these services update the data stations send in their own systems. Finally, PBS Digital pulls in feeds of listings data from these providers (in this case, we use ROVI) to display in PBS-provided modules and tools. Stations, listing providers, and PBS Digital do not have the ability to edit each other’s listing data, which means each step must be followed to ensure data is accurate. Without the ability to directly update listings data within ROVI’s system, stations and PBS Digital largely depend on the listing provider making timely and accurate updates, which doesn’t always happen. Making improvements to PBS Digital products to put the accuracy of listing data back in stations’ hands. In an effort to determine the root cause of the problems, PBS Digital embarked on a two-month research project to map out the entire listing information workflow and identify the gaps in service. We ran two surveys that covered a wide range of organizational compositions, product and service needs, and technical investment in TV schedules. Based on that research, as well as our ongoing conversations with listing agencies like ROVI and Myers Information Systems (ProTrack), we were able to understand key station pain points, and identify growth opportunities. Some of those pain points have been addressed by PBS Digital and ROVI; while longer-term solutions are still in the works. PBS Digital has mechanisms in place to import the latest data from ROVI via an API. That data is meant to be clean and up-to-date. From time to time, PBS Digital has had problems with corrupt or missing files from ROVI, which occasionally compromised our system, and caused outages. To address this, we have enhanced our import validation and monitoring, to help check for clean and complete data, and notify us of failures. Additionally, in an effort to improve the reliability and quality of the data ROVI sends to PBS, they are currently developing a new platform to generate the daily feeds. PBS Digital is working with ROVI now, to test the new system, and expect the transition to be complete within the month. While this has helped to address some of the TV Schedule outages, it doesn’t solve the larger station need to have more control over listing data. Through PBS Digital’s work with ROVI, we have been able to improve our escalation workflow in terms of service support. So there is a clear expedite process for technical bugs reported by stations. For ROVI, they have assured PBS that they have prioritized the investigation and resolution of the data delivery issues within their own organization, and have increased QA resources dedicated to PBS. PBS Digital’s first priority is ensuring we have the most accurate station schedule information available at any given moment. Within the public media world, it’s understood that listing information can change last minute and often times during after-business hours. This is especially true during pledge periods, where programming depends on shifting development priorities and goals. To address the more fluid nature of schedule data, PBS Digital has been working on developing a tool that will allow stations to correct inaccurate listing provider data used within our TV Schedules products. The console is not meant to circumvent the station TV schedule grid submission process--you should still submit listing data to providers. This is intended to be a method to immediately correct individual listings that, for whatever reason, are not being updated via ROVI. Since PBS is not able to make updates directly within the ROVI system, these updates will only be surfaced across PBS Digital TV Schedule products, including the modules and API. This solution would be, for now, additive. The goal is to improve data accuracy, and give stations more management control. The main product focus moving forward regarding schedules remains on improving our infrastructure and creating this admin. The Product teams, with the aid of a station pilot group, are looking to release this console interface this year. Please stay connected with the Station Products and Innovation (SPI) team who will communicate beta group opportunities and deliverable dates as they come available. 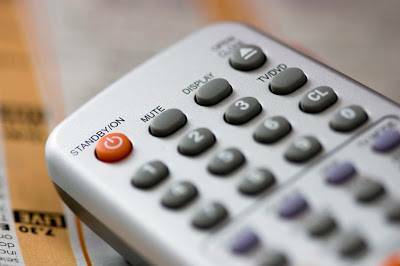 If you experience issues with your TV schedule module, please continue to reach out to the Digital Support Portal. If you have any specific questions around digital strategy, longer term project goals, or beta test opportunities, please feel free to reach out to your PBS Digital representative directly or spi@pbs.org.